We've always wanted to look like the legendary Heath Ledger. Today, we finally accomplish the feat. For many years, several FHM bros lived with a huge dilemma: "Paano kaya tayo magiging kasing guwapo ni Heath Ledger, 'no?" 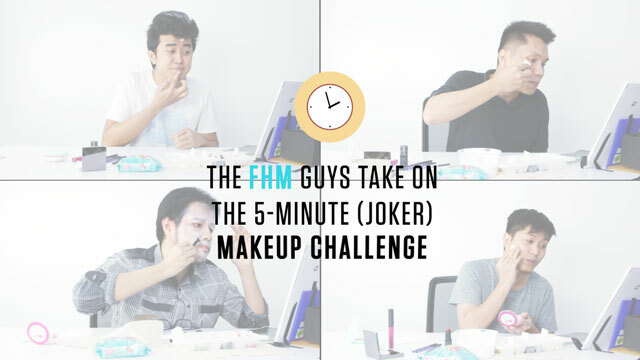 Always the helpful bro, the rest of the FHM team made their dream come true...by giving them enough makeup to look like Batman's BFF, The Joker. But there's just one hitch: They should put it on themselves, in only five minutes?